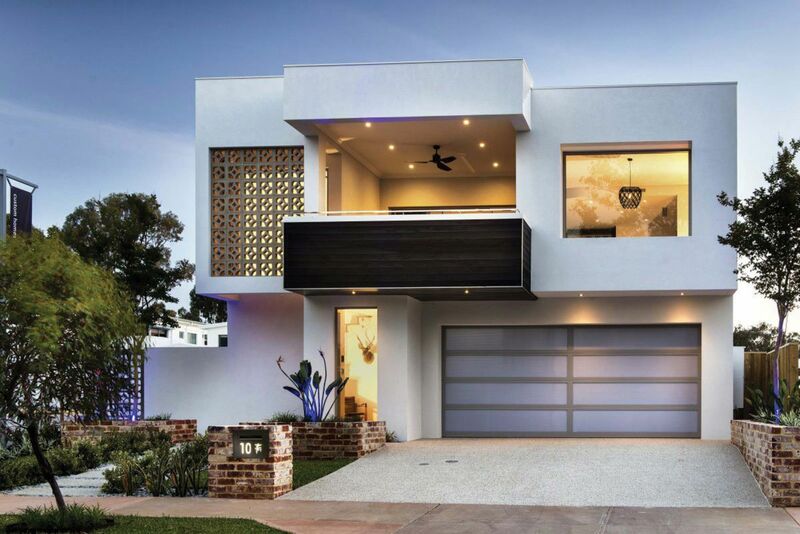 While people tend to focus on the interior design and décor of their homes, the missing piece for a splendid, all-encompassing abode is often the exterior design. Since homes can be as beautiful on the outside as they are on the inside – whether traditional, modern or contemporary – the exteriors of a house play a critical role in setting the right tone. Exterior design elements not only allow homeowners to make a killer first impression, but they can greatly enhance the beauty of their outdoor spaces. So how do you plan to envelop your home? 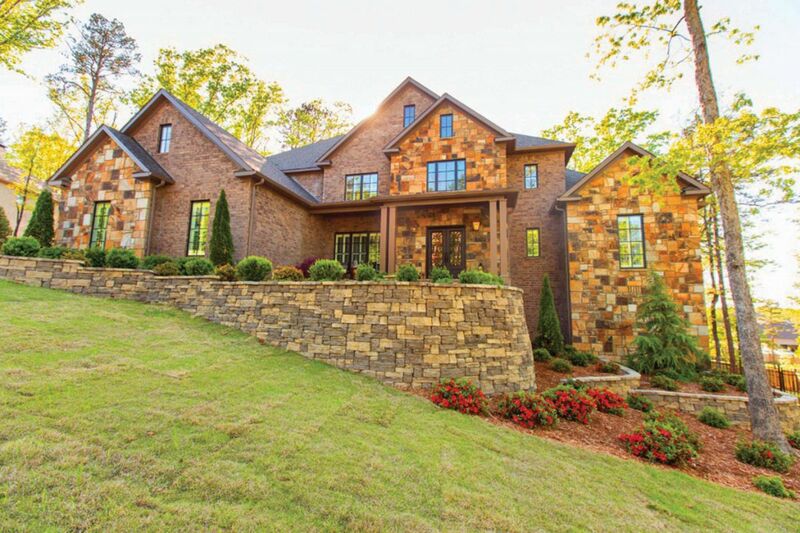 What do you want to look out at from your patio? 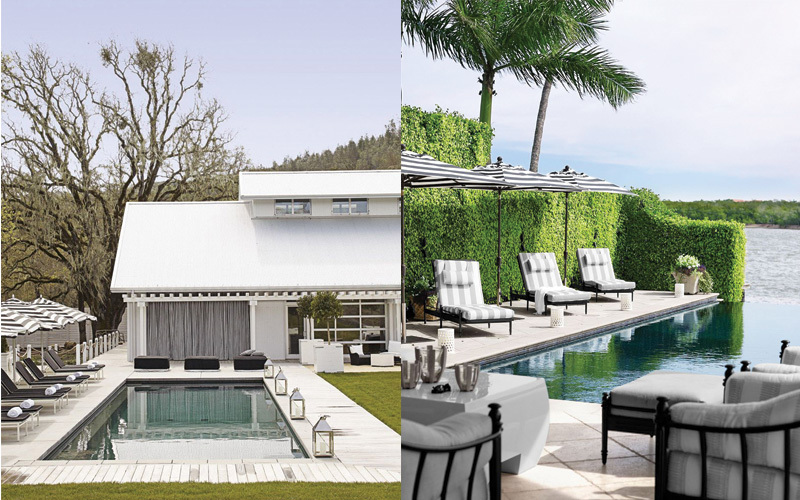 Should your terrace feature a pool and rooftop dining, or be turned into a party pad? Call them stylish, functional or tasteful, snazzy exterior house designs will simply knock your socks off. When the weather is pleasant outside – awash with the smell of freshly cut grass and the warm breeze that lures you out – who wouldn’t want to turn their outdoor space into their living room? If this description evokes a magnificent picture in your mind, then perhaps it’s time to consider giving your home a new façade. From yards to porches, you can make the most of your outdoor spaces and spruce up the home exterior. 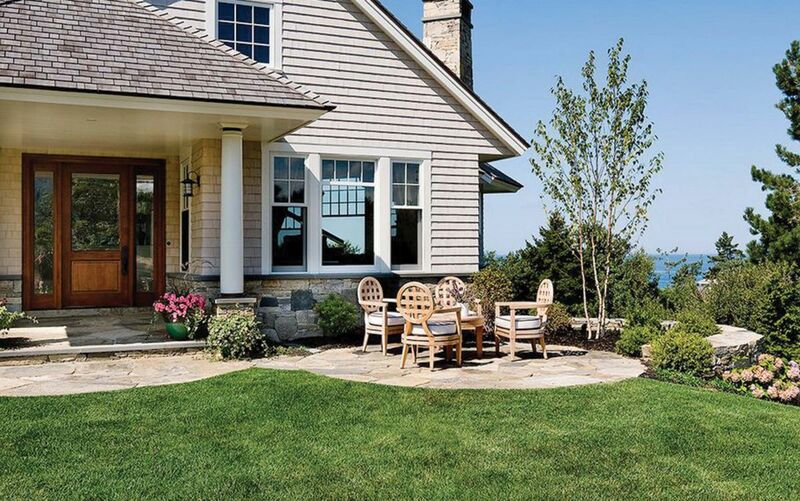 Green lawns, prim patios or convenient porches are some of the outdoor design aspects that help shape inspiring exteriors. While they may be similar to an extent, there are in fact some clear differences between them. A porch is a projection at the entrance of a house, and is built in certain types of frames extending from the main structure. On the other hand, a patio is an outdoor area adjoining a house that is generally used for recreation. 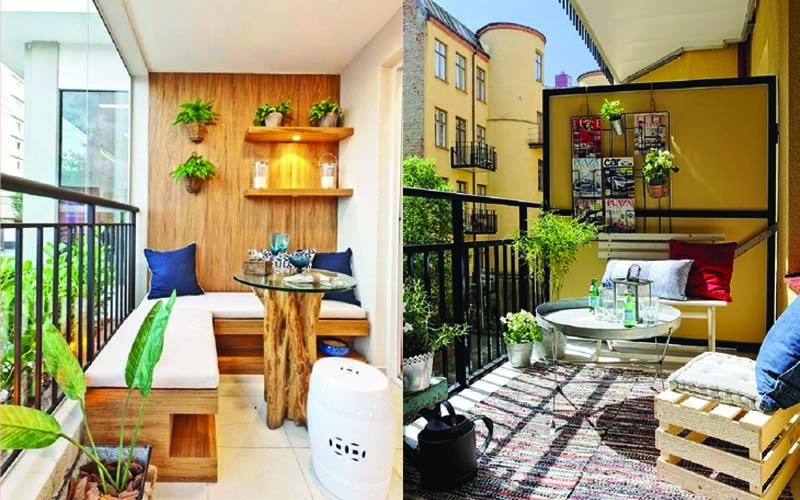 Constructed with materials like concrete, stone, bricks, tiles and sometimes cobblestones, a patio (Spanish for an inner courtyard) is usually decorated with plants and outdoor furniture. On the other hand, a flat, roofless platform adjoining a house is called a deck. Normally made of lumber and elevated from the ground, a deck is sometimes enclosed by a railing or covered by a canopy. be outside and feel like you’re in the trendy interiors of your living room. Pro tip: always have a focal point to your outdoor designs, which will help you plan your space. Whether you want to arrange the outdoor lounge area as a gathering point for conversations or the dining section off the kitchen area, having an area of focus will help you plan the dining, relaxation, and garden zones. This can make your patio a true outdoor living room. Do you have a balcony that is of little use? Is it a bare canvas because you don’t know what to do with it? Although outdoor spaces and balconies may seem to be the ideal places for clotheslines and domestic utility, it’s just not the case anymore. Architects are changing the concept of high-rise living with amazing balconies that stand out in more ways than one. From cantilevered balconies to open-air kydecks, there are lots of new ways to extend balconies as living areas and enliven these otherwise ordinary structures. While they may not be used for entertainment or social gatherings, you can jazz them up with some of these simple tips. You can bring a soft romantic mood to your balcony and turn it into a cozy place. Well-placed paper lanterns in Moroccan or antique style, Chinese paper lanterns, and outdoor tiki torches are great options. 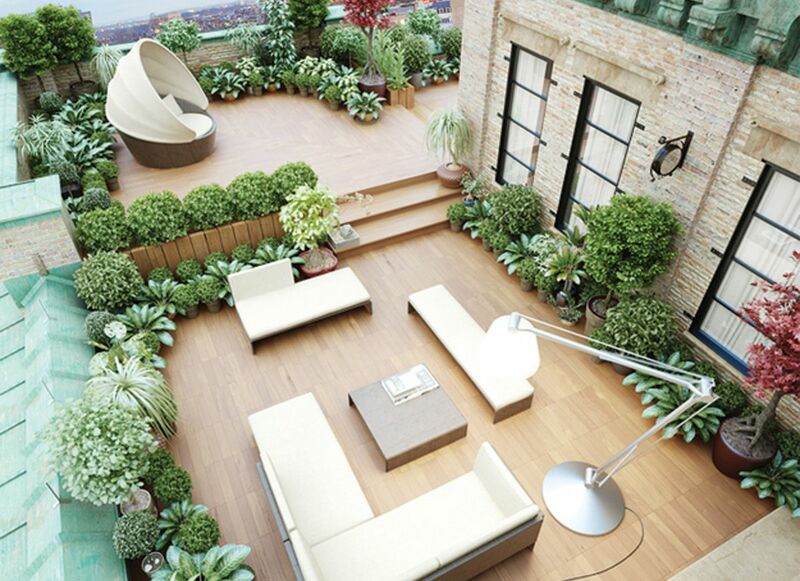 Decorate your balcony with plants for fresh oxygen and to bring yourself close to nature. Why add pots in a line when you can arrange them in unusual ways using plant brackets, flower box holders, and window boxes? You can also cover the floor with faux grass. Use comfortable furniture to sit back and relax on your balcony. A small table and chairs will look stylish for small balconies, whereas a sun lounger or a swing set will suit larger ones. You can also benefit from colour schemes to bring the décor together. Take the visual appeal of your balcony a notch higher by adding decorative stones or pea gravel on the floor. Round white pebbles, striped amber pebbles, or polished black pebbles – pick any type to achieve a designer look. Use a clear glass bird feeder to not only add a modern touch to balcony décor, but also invite birds to sing a song within earshot! What more would you need than a bookshelf and comfy chair to catch up on your morning news while sipping a steaming cup of coffee? Add a magazine rack and you might just find your sweet spot! With the lovely days of spring in our grasp and pleasant brunches on balmy weekends on our minds, exterior dining is a great opportunity to kick the humdrum of your everyday life. The sweet, fresh air of the outdoors is bound to turn your routine dining with friends and family into a holiday! An excellent idea for barbeque, dining or just seating, exterior dining areas are almost as important as an outdoor pool or a patio. And when it comes to outdoor furniture, how you position it is most important. While simple and functional are the two main concepts to keep in mind, there’s no reason why the principles of interior design can’t apply to your outdoor areas. The best option for outdoor furniture is resin wicker. It’s weather-resistant and can be left out in the sun and wind for years. Armchair-styled pieces teamed with a wooden table are totally chic for outdoor dining! Throw in some cushions to soften the backs of the seating, and build an attractive outdoor fireplace to set a more atmospheric scene and turn it into a modish space. Outdoor wrought-iron furniture is also a good choice, as it’s solid, traditional, and elegant. Although it is typically heavy to move around, it can last a long time and is perfect for serving lunch or just sipping tea under the sun. Here we gathered some inspiring garden designs to influence your outdoor spaces. We’ve weeded out the rough to give you a peek into modern landscaping with accentuating details – like water features and mini pools. These garden design ideas should help you nurse your interest in gardening while also breathing new life into your garden. A strong design direction is provided to the entire garden with the way the paving is laid. Even the colour plays a role here. For instance, if grey or white stones are laid in a random pattern, it will set the tone for a French country look. Black or silver paving is the perfect backdrop for a modern scheme when done in a regular design. On the other hand, a golden stone arrangement creates an English country feel when arranged in a random pattern. For the best garden design, start with pretty, flowering plants. Use evergreen shrubs at the end of each border, include small shrubs like box balls or large evergreens for bigger areas. Once this is done, fill the gaps with flowering plants. You can also try a sidewalk garden, an entryway flower garden, a shady corner with colorful plants, a raised garden bed, vertical gardens in small spaces, and beautiful hanging plant arrangements. Boundary walls or fences are most visible in a garden. Hence, it’s important to make them look good. You can either maintain the same fence throughout the boundary, or grow climbers on them in coordinating colours. Water adds to the overall appearance of the garden and can bring a relaxing sound to your outdoors. Whether it is a two-tier fountain or a deck-top water garden, you can bring as many new elements to your garden as you like. Who would complain about having a stylish space to park their car? A trendy carport can enhance the exteriors of your house with a semi-covered structure or a canopy-styled enclosure. Although a carport may provide limited protection to your car compared to a garage, you’ll have more ventilation and a slick exterior for parking your vehicles outside your home. Garages too have turned into modern spaces today, unlike the old rusty sheds with mud floors and dim lighting. Even the simplest garages are operated by remote controls, so there’s no need to leave your car while parking. If you’d rather not keep the car in the open, an eclectically-styled garage built in steel and sliding glass doors opening into your basement will do the trick. Use stylish recessed lighting on the roof to highlight your cars! And if you prefer an outdoor spot, a carport at the front or side of the house may be best for you. You can turn your car park areas into garden gazebos by growing plants or creating a little garden around them. Swimming pools make you wish the summers would last all year. Nothing is more relaxing than lounging by a pool or going for a swim, and a pool can be the main attraction of a house. When they have specialty materials, unique lighting and other design features, backyard pools tend to have a powerful influence on the adjacent spaces. That’s particularly true when they’re accented by night lighting. While it’s best to use a landscape architect to design your pool, choose high-quality materials and timeless detailing. You’ll only build it once, so try some cool pool ideas. Add a Bahamian vibe to your pool by using gas lanterns on a double porch, or by adding a few Italian cypresses to transform it into a relaxing retreat. While you can match your pool to the exteriors of the house, adding a pop of colour to your yard can work like magic, too. If that isn’t enough, installing coral stepping stones in the pool will literally let you walk on water! You may not be able to have an infinity-edge pool overlooking the ocean, but you can surely build a living wall. Just grow creepers on the walls, and you are set – it also doubles up as the perfect backdrop for summer parties and pictures. You can use gauzy curtains around the pool area to give it a breezy, tropical feel, or do a Tuscan style with orange umbrellas and cypress trees. Just add a glass of red wine and you’re good to go! Aterrace is a great addition to a stylish home. Why? It gives you a chance to display some taste and creativity. While thinking of the design concepts for your terrace, the first question to address is whether to choose a wood deck or go for stone. While it’s very important to carefully consider the materials to be used, if done correctly, they require little maintenance and are quite durable. You just need to ensure that there is a way for rainwater to drain properly. Open theatre. This addition is perfect for summer gatherings. Garden. It can be a real refuge in the heart of the city. Small yet amazing gardens can protect you from harsh urban environments. Lounge and dining areas. This is a must on your terrace if you want to throw large parties! An outdoor kitchen. Perfect for those of you who like to grill out in the open. A hot tub. A luxurious thing to have, you can turn your terrace into a gorgeous place with a hot tub and spend some relaxing time after work. You can also add mood lighting, built-in benches, string lights, and planters to make your terrace more welcoming, modern, and stylish. If you have a kitchen garden, you can grow your own flavourful fruits, fresh vegetables and aromatic herbs! 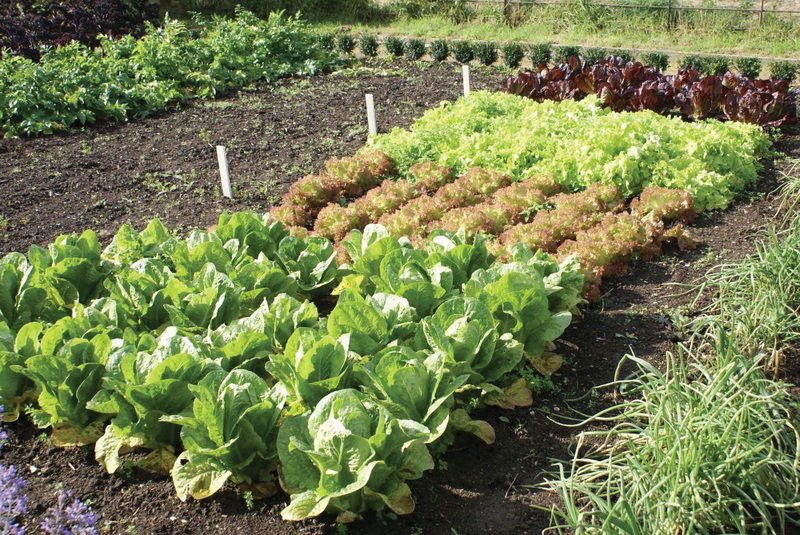 As difficult as it is to maintain a kitchen garden, you can borrow the design strategies used for regular gardening. Having said that, the key for a healthy kitchen garden is the soil, and the perfect site for it is the place that receives plenty of sunshine and yet has a partially shaded area for specific plants, too. While good drainage is also important, the space needs to be free from puddles. You can start out simple by choosing easy-to-grow herbs and vegetables, like mint, parsley, lettuces, spinach, basil, tomatoes, eggplants, beans, peppers, cucumbers, and radishes. If you’re lacking space, you can even grow a vertical kitchen garden!